After a three-year mission hunting for near-Earth asteroids and comets, NASA's NEOWISE program has delivered a fresh batch of discoveries. 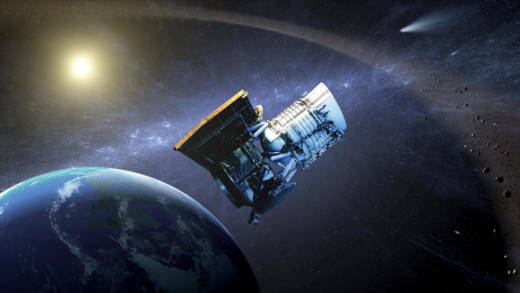 In the past year alone, NEOWISE has detected 97 previously unknown solar system objects, 28 of which are Near-Earth Objects (NEOs) that come close to or cross Earth's orbit, and can pose a potential collision threat. In the past three years, NEOWISE has revealed the characteristics of 693 Near-Earth Objects, 114 of which are new discoveries. In the past year alone, it discovered ten potentially hazardous objects. An object is classified as 'potentially hazardous' if its minimum distance from Earth is 4,647,790 miles -- or less. NEOWISE is a reinvention of NASA's Wide-field Infrared Survey Explorer (WISE) mission, which was launched back in December 2009. 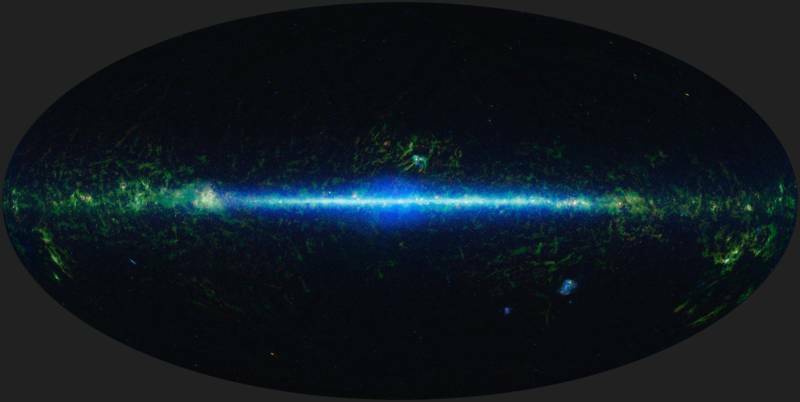 WISE's goal was to map the entire sky with its 16-inch telescope looking for sources of infrared light, which it accomplished in six months of observation. With extreme sensitivity to infrared radiation at four different wavelengths, WISE detected faint celestial heat sources across the cosmos -- such as galaxies billions of light years away, objects within the Milky Way such as black holes, forming star systems and cool brown dwarf stars, and asteroids and comets within our solar system. Just within our solar system WISE observed about 154,000 objects, including 33,500 new asteroid and comet discoveries. In October 2010, WISE's primary mission ended. Then, in September 2013, NASA reactivated the spacecraft and re-purposed it to begin a new mission, focused on the hunt for asteroids and comets, with particular interest in Near-Earth Objects that could be potentially hazardous to us. 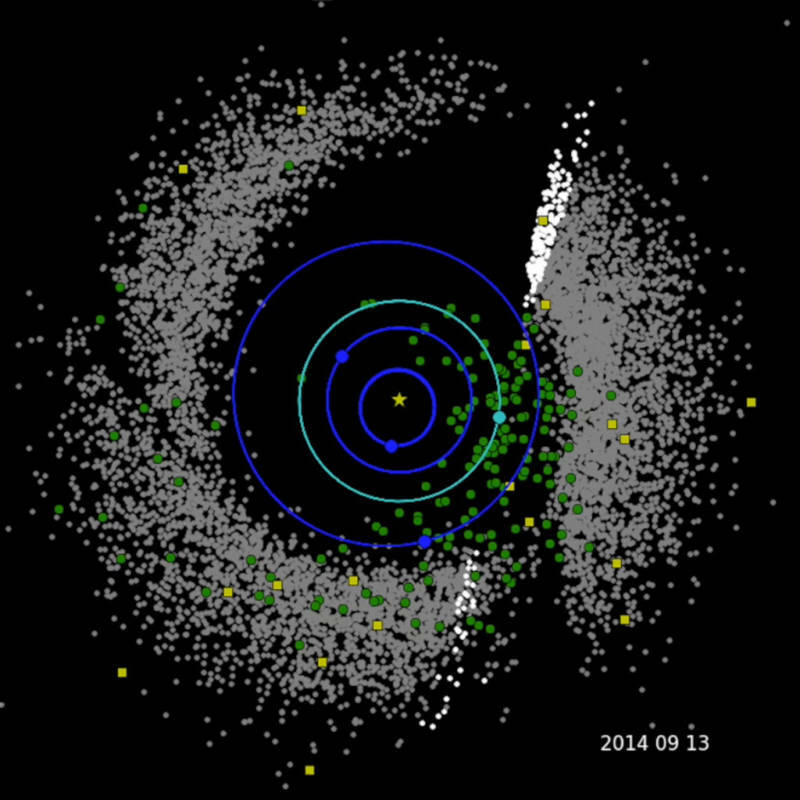 The NEOWISE mission was born. Knowing about a threat is the first step in avoiding it. 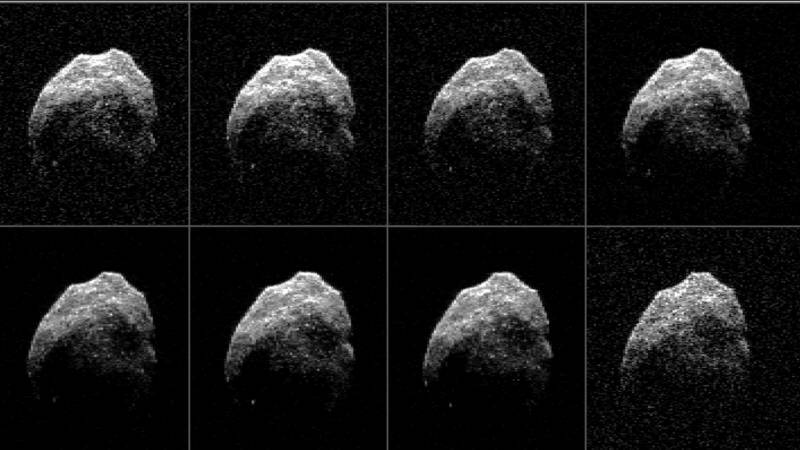 In the case of Near-Earth Objects and potentially hazardous asteroids, which occasionally collide with the Earth to cause local or global mayhem, the more we know, the better our chances of predicting a future impact with enough warning to do something to prevent it. In fact, due to the group efforts of NEOWISE and professional and amateur astronomers around the world, as of June 2017 we know of the existence of 16,294 Near Earth Objects of all categories (meteoroids, asteroids, and comets that come close to or cross Earth's orbit). Of these, 1,806 are classified as "potentially hazardous"—that is, have the potential to come close to the Earth, and are large enough to cause significant damage should they impact us. If these numbers cause you concern, there are some other numbers you can check out for a little reassurance that the sky is probably not falling anytime soon. The Center for Near-Earth Object Studies (CNEOS) at NASA's Jet Propulsion Laboratory posts on their Sentry site an automatically calculated list of the most significant risks of impact by potentially hazardous objects. You can dig into the numbers if you have the time or statistical inclination, but perhaps the biggest takeaway from those probabilities is that we are exposed to numerous Earthly risks every day--traffic accidents, disease, slipping in the shower -- that rate much higher danger than any threats from these NEOs. Friday, June 30th is International Asteroid Day, a day of awareness of the risk of asteroid impacts, and for support of efforts to devise a defense against them.